That’s how long Wesley Kent has to live with the girl his dad shacked him up with, and then he can collect his inheritance and escape small town life. 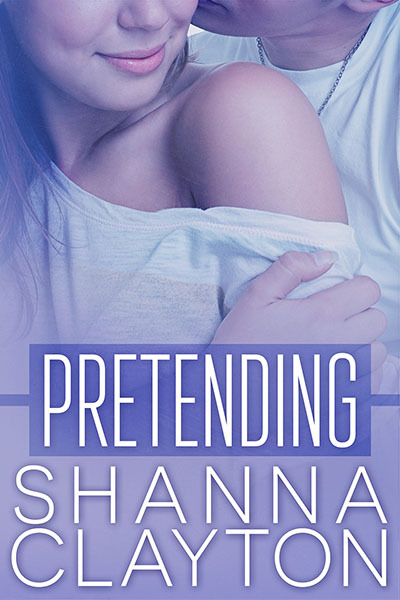 He gets through the prison sentence by pretending Dahlia Reynolds doesn’t exist. With three years down and one more to go, he doesn’t expect much to change. That is, until the girl that’s not supposed to exist sharpens into his reality, making it impossible to ignore her. That’s how long Dahlia Reynolds has been living with a total stranger. She’s convinced herself Wesley Kent is no more than illusion in the hallways. It’s easy to do, especially since that same illusion has never spoken more than two words to her. But one mistaken identity later, and she finds herself caught up in the mysterious world Wesley lives in. One by one, he begins knocking down the safe, comfortable walls she built, leaving her wondering what his motives are. Does he want to expose her—or free her? Recommended for 17+ due to mature language and adult situations. I’m not sure if my mother predestined me to become a romance author when she named me after her favorite Kathleen Woodiwiss book, but that’s what happened. Now I live and breathe all things books. When I’m not glued to my desk writing, I can be found eating too much chocolate, obsessing over Game of Thrones, and cyber stalking my favorite authors. Keep up with me on Facebook and Instagram. I love hearing from readers! Thank you for featuring me on your blog!